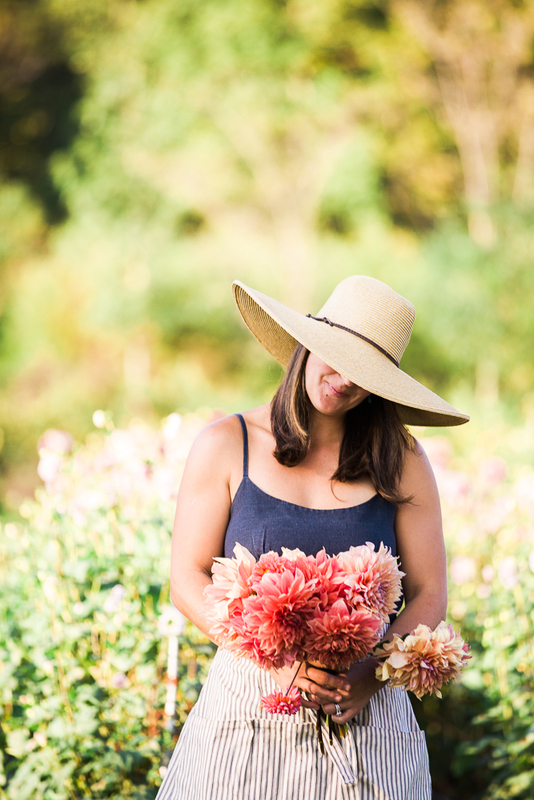 I get a lot of questions about where I source my dahlia tubers and also about my hat (its from San Diego Hat Company). 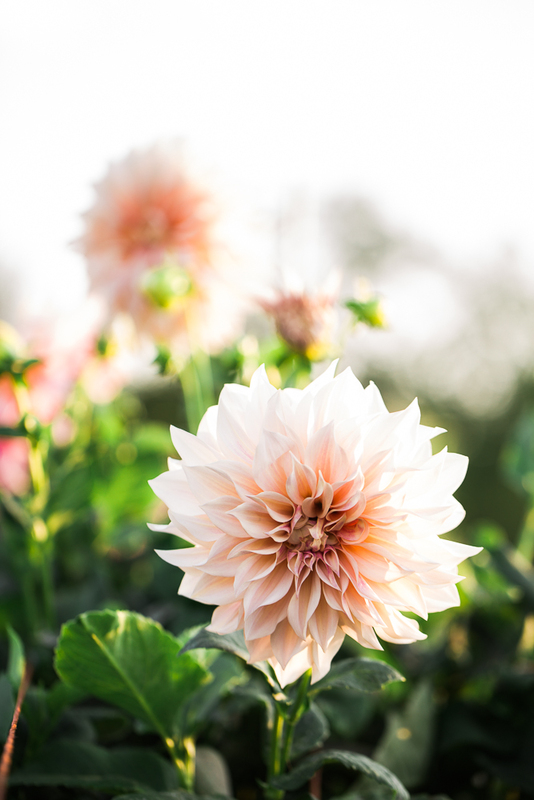 Now about the dahlias: We have such limited space to grow on, so I have to choose the varieties that we grow very carefully. They need to be productive bloomers with long stems and colors that I like to design with and that other local designers and shops like too. Burgundy, blush and white are perennial favorites all around. For larger quantities, I buy from Ednie Flower Bulb company - the minimum amount that can be purchased is 25 tubers per variety. 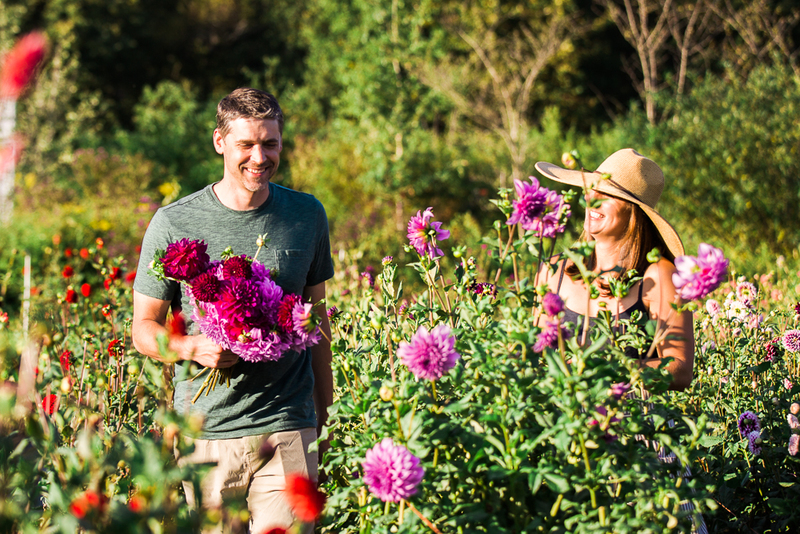 I also love Swan Island, Floret, Sunny Meadows and Summer Dreams Farm for smaller quantities of special, hard to find varieties. I can't encourage you enough to find a photographer whose work resonates with you and have them come document your flowers - and you too! People want to see the face of the person who grows the beautiful blooms. Even though it can feel cheesy, I promise you that the right photographer will make you feel comfortable. 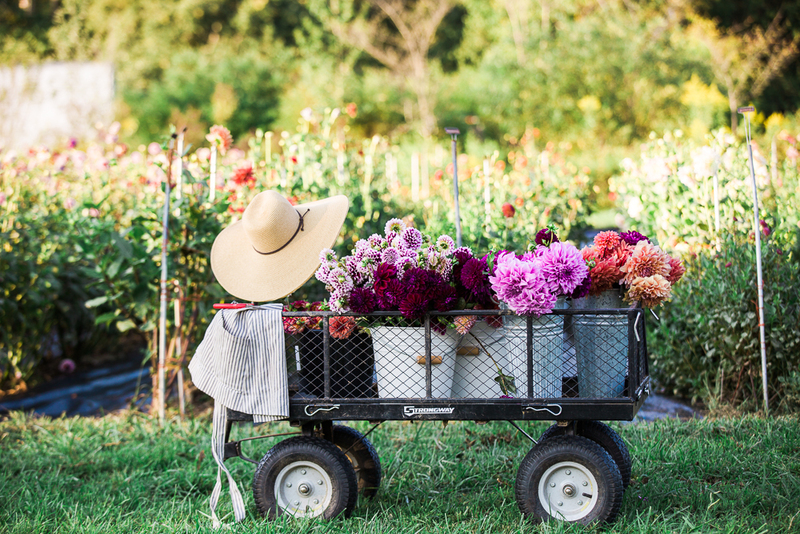 Take a minute to explain your vision - how do you want to see your farm, your flowers and yourself? Its so worth it to schedule some time away from harvesting and farm chores and really highlight the beautiful parts of your farm and farm life. While this is not what my farm (or me) looks like 98% of the time, its so important to be reminded of why we work so hard to cultivate beauty.